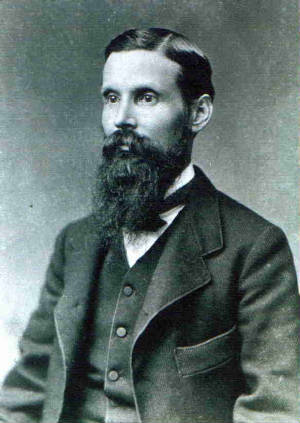 Elisha was born on March 5, 1846 in Appomattox Virginia, the son of Elisha and Mary Fretwell Lucado. Elisha was one of eight children and the others are William, Abner, Robert, Mary F., Thomas H., Jane C., and Malissa A.
Elisha enlisted in the Confederate States Army in the 2nd Regiment, Company H, Virginia Cavalry and served under Fitzhugh Lee and W.C. Wickham. Elishas brother Abner died of measles at Chimborazo Hospital in Richmond on 5-15-1862 (46th Va Infantry). Elishas brother, Robert, died of measles in May 1862 in Petersburg (probably in war). After the war, Elisha returned to Appomattox Virginia and on December 18, 1867 married Lucilla Catherine Conner born on May 4, 1849 the daughter of Allen Abendigo and Lennis Ann Ferguson Conner. They had nine children Joseph, Edward, Littleton, William H., Ira L. Florence, Della, Mollie, and Robert H. Many of the descendents still live in and around the Appomattox area. Elisha was a farmer on property surrounding the Surrender Grounds. The family cemetery is located on this land and this is where Elisha was laid to reset when he died on August 20, 1904 of typhoid. Catherine died November 21, 1919. On November 5, 2000 the Appomattox Chapter of the United Daughters of the Confederacy placed a Confederate Grave Marker of Honor at his grave so every visitor to this site will remember this Confederate Hero. 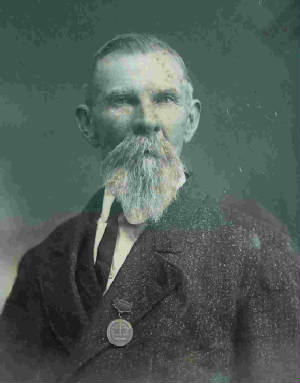 Stephen Thomas Marsh was born May 13, 1840 to Johnson and Elizabeth Childress Marsh. He was twenty-one years old when the Civil War erupted. Some service records indicate he was conscripted into the Confederate Army in 1864, but his daughter and my Grandmother, Ethel Judson Marsh, believed he fought from 1861 on. He was ill several times while in the Army and the records indicate he was a patient at Chimbarao Hospital in Richmond, Virginia in 1864 and was on convalescent furlough home for a month, apparently after a bout with typhoid. He served in Company B of the 18th Virginia Infantry Regiment. At the battle of Saylor's Creek his unit was in the thick of the fighting_ it is unknown if he either was captured and escaped or avoided capture when his unit was taken. He arrived home April 7, 1865 and heard news of the surrender at Appomattox on April 9, 1865. The next day he rejoined his unit at Appomattox Court House and received his parole. He didn't talk a great deal about the war but his children remember some of his experiences, as he told them. According to his son Thomas Gordon (Tom) he mentioned that food was lacking especially toward the end of the war. He also told the story of soldiers sleeping on the ground, and their long hair would freeze to the ground, they would have to have their hair cut before they could get up in the morning. He died September 25, 1933 at ninety-three years of age. He and my Great-Grandmother had nine children, raising eight (one died in infancy) they were pious Christians, he was very active in the life and work of Red Oak Baptist Church where he was a deacon for many years and also served as Sunday School Superintendent. Colonel McDearmon owned considerable property in and around the village of Clover Hill, operating both a store and a tavern in the village. He served the Virginia House of Delegates and also as a State Senator. He was a Major in the Appomattox Regiment of the Virginia State Militia from 1849 to 1855. During the War Between the States, Colonel McDearmon served as an aide to General Henry A. Wise, commander of "Wise's Legion" in the fighting around Sewell Mountain and Gauley Bridge in an ill-fated Kanawha Valley Campaign in western Virginia in 1861, when the Virginia volunteer troops were trying to keep the Northern forces out of western Virginia. There's an interesting story told about the McDearmons. It seems that at one time Samuel wished to move to Nebraska, but his wife, Mary Frances, wanted to go to Texas. They loaded up and started west, but when they reached the railroad, three miles from the starting point, they stopped to rest and feed the horses. Apparently they had a heated discussion about which way they were going from there and as the story goes, Mary Frances said, "Damned if I'm going to Nebraska". So Sam gave in and they built a home where they were an called it "Nebraska". The home they built is still standing today. It is the back part of a home on Church Street, Appomattox, Virginia! Submitted by Frances Plunkett Harvey, Great Great Granddaughter. Charles E. Moorefield was born in Charlotte Co., Va. in 1840, the son of Isaac & MaryAnn S. Guthrie Moorefield. He was one of at least 4 of Isaac & Mary's sons to take up arms for the Confederacy during the course of the war, all of whom served honorably. It is possible that a fifth son, Lewis, died in 1863 of disease in a Richmond hospital during his enlistment, however, there is conflicting information that makes us uncertain in this regard. The others were fortunate enough to come home, battle scarred but alive. Charles first enlisted in July 1861 at nearby Meadville as a private in Company H, 14th Virginia Infantry. Company H was known as the "Meadville Grays. He was 21 years old, married and the father of a nineteen month old son, David Emerson. Because of his young son and as his services were needed at home to help with the operation of his father's grist mill, Charles was allowed to furnish a substitute to fight in his place, a common occurrence during the early part of the war in families that could afford it. Walter Covington was that replacement. Unfortunately, Covington died of disease in Chimborazo Hospital in Richmond, Va. in June of 1863. Charles operated Moorefield Mill, located less than a mile from his burial site, during the first 3 years of the war. This mill, along with several others in the area, was instrumental in providing the Confederate Army with staples of flour & cornmeal, and with grain for their animals. This supply line became the target of the Wilson-Kauntz Raid on the Staunton River Bridge between Randolph and Clover in June of 1864. Since Charles was here at the time and knowing the importance of that bridge to the community & to his business, it is quite likely that he, along with his father Isaac, was among the civilian volunteers that helped defend the bridge from the invading Union forces. At this time during the war, Lee's Army of Northern Virginia had sustained heavy casualties. The loss of men at Gettysburg alone had been devastating. It became necessary to enact a draft to replace the losses. Now the father of 2 more children, John Edward and Ida, Charles was drafted in October of 1864 to actively serve, again with the 14th Va. Infantry. There is a record of clothing being issued to him in December of 1864, but where he camped that winter is not stated. His 4th child Carrie, named after her mother, was born that January. Charles saw action in March 1865 in Richmond and at Hatcher's Run. On April 1st, 1865, he was captured at the Battle of Five Forks & taken to City Point, Va. as a prisoner. From here, he was transported to Point Lookout, Maryland where he remained a prisoner until after the war's end. He was released in June of that year after taking the Oath of Allegiance. Charles returned home to Halifax Co. and resumed his trade as a miller & a farmer. 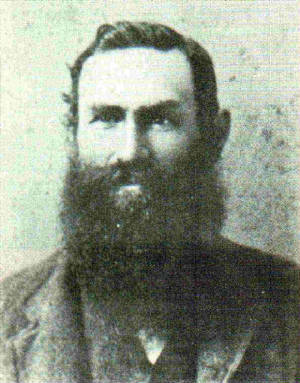 After the death of his first wife, soon after baby Carrie was born, Charles married his wife's sister, Harriett Traynham. Together they raised his 4 children, the descendents of whom still today honor the memory and service of their Confederate ancestor. Charles E. Moorefield died in 1916, and is buried in his Family Cemetery located in Nathalie, Halifax County, VA. He left behind a legacy of service to the Southland that should always be remembered with pride. Submitted by Laurie Goodman Lenz. 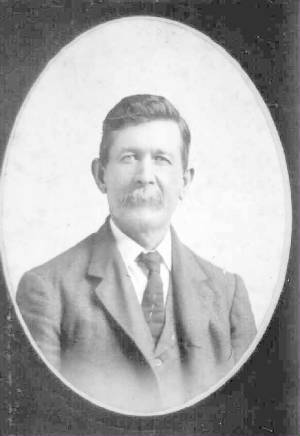 Leander A. Moorefield was born in Halifax County, VA on February 9, 1840. He was one of Stephen & Eliza Wilmouth Moorefields sons to take up arms and serve honorably for the Confederacy during the War Between the States. On November 22, 1860, Leander married Elizabeth F. Wilmouth, a daughter of Yancy & Susan Whitlow Wilmouth. In 1861, the war began. 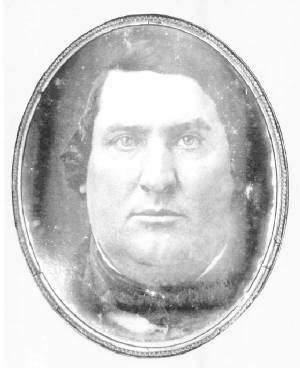 Even though Leander was a newly wed at the time, his patriotic duty and pride lead him to enlist in what he considered The War of Northern Aggression. Leander never owned any slaves, but he felt that he had to protect his state and property from destruction by the Union Soldiers. Leander first enlisted at the age of 21, as a Private on May 28, 1861 at the Clover Depot in the Clover Rifles, Company H, 20th VA Infantry Regiment. Upon enlistment, he was described as having a fair complexion, blue eyes with light hair, his height was 5 feet 4.9 inches. He listed his residence as Halifax County and his occupation as a Carpenter. He first saw action at Seven Pines, VA and then on June 26, 1861 at Laurel Hill, VA. On July 11th while fighting in the Battle of Rich Mountain, WV, Leander was captured along with his brother, Elias, and they became Prisoners of War. They were paroled of July 17th at Randolph County, WV and then discharged on November 1, 1861. During 1861, Leander & Elizabeth became the proud parents of their first born son, James Calvin Moorefield. After his discharge, Im sure that Elizabeth had hoped that his fighting days were over and that he was safely back home to stay. During the course of the war, the Northern Army of VA had sustained many casualties. Leander decided once again to enlist on August 27, 1863 as a Private at Charlotte County, VA in the Charlotte Rifles, Company K, 18th VA Infantry Regiment, under General Pickett. During his second enlistment he was involved in nearly every major campaign in VA, and one in Martinsburg, WV. He was still listed on the rolls December 31, 1864, but there is no Military Service Record after this date. Leander returned home after the war and he & Elizabeth had 6 more children: Leroy, Andrew Jackson, Josephine, L. (died at one day old), William Charles & Ida Belle. He resumed his trade as a Carpenter & Farmer for as long as he was able. 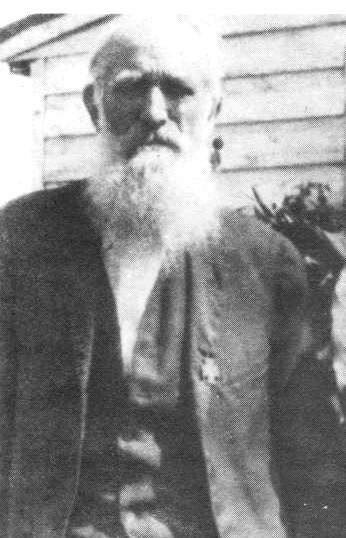 He filed for pension on May 17, 1900 because he was no longer able to work to support himself and his family due to rheumatism, old age and exposure during the war. This pension was finally granted on June 9, 1902. Leander died May 24, 1910 in Halifax County, and is buried on a Wilmouth Family Farm in Scottsburg, VA. Leander A. Moorefield left behind a legacy of service to the Southland that should ALWAYS be remembered with pride. Ancestor of Laurie Goodman Lenz, Ethel Seamons Eberhard, Kathleen Wilmouth Butts. 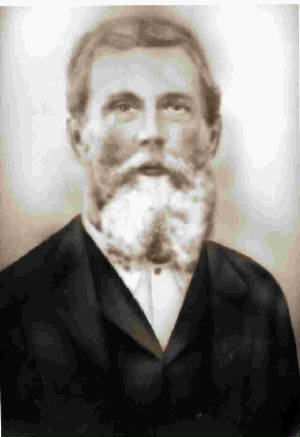 Nicholas Hudson Morris was born in 1848 to John Morris and Sarah Mitchell Morris. He was one of seven children. Nicholas enlisted in the Confederate Army on October 9, 1863 in Company C, 17th Regiment Virginia Infantry. He was only 15 years old. He was absent from duty in January, February, March and April with leave on Surgeons Certificate. He was discharged from the hospital on April 11, 1864 and was reported to return to guard duty at Stinston, NC. Nicholas lived at 307 Chestnut Street in Lynchburg Virginia. He worked at Glamorgan Pipe and Foundry. He married first to Mary Davidson Garrett and had two children, Emily Ann and William Thomas. After the death of Mary, he married Laura OBrien Lindsay (born 1857, daughter of Francis Kirkpatrick OBrien and Judith Forbes OBrien). Laura was the sister of John Harrison OBrien and Thomas Henry OBrien. They had no children. After the death of Laura, he then married Lucy Jane Harper Wooldridge and they had one child named Lucy. Nicholas died on March 13, 1913 of apoplexy. He is buried at Presbyterian Cemetery, Section M, lot 38 in Lynchburg, Virginia. Duiguid Funeral Home was in charge of the arrangements. His son William paid for his funeral. The cost was $57.00. Submitted by Anne Taylor Miller, Great, Great Granddaughter. Thomas was born on December 6, 1842 one of eight children of Francis Kirkpatrick OBrien and Judith Forbes OBrien. Thomas Henry OBrien joined the Confederate Army on May 22, 1861, at the age of 19. Thomas was a Private in Co. A 57th Virginia Infantry. He served the CSA until 4-1-1865, just 8 days before the Surrender at Appomattox, when he was captured at Five Forks near Dinwiddie Courthouse and was taken to Point Lookout, Maryland where he was held until June 15, 1865 when he signed the Oath not to take up arms against the United States. He then returned to Buckingham County. He married Parthena Bettie Elizabeth Bagby on November 30, 1870. Bettie had a sister named Mildred Frances (Fanny) Bagby who was married to Thomas H. Wooldridge. Bettie and Fannie were the daughters of James H. and Pauline Smith Cason Bagby. Thomas and Bettie had ten children: Mildred, Martha, Louis, Elnora, Edna, James, Lelia, Theodosia (sis), Henry, and Joseph. The children were born and raised in Buckingham County in a house known as Patteson Tavern, which was a stagecoach stop between Richmond and Lynchburg. There was a Dr. E.P.F. Trent who lived there as well and Thomas studied with him to learn how to pull teeth, sew up cuts, drain abscesses and other medical procedures. Thomas was very active in his church, and in 1902 he helped to organize a Sunday School at Chestnut Grove Baptist Church. Thomas and Bettie are buried in a small family cemetery located behind the old Patteson Tavern, on property now owned by his Great Grandson Ed Cook and his wife Ann. Here is a letter written to the Times Virginian in 1915 / 50 years after the war. I was born the 6th day of December 1842 in the county of Buckingham, Virginia and entered the Confederate service the 22nd day of May 1861, a company being the first from the county. Under Captain Carter H. Irving our company was sent to Staunton the last of June and from there we marched one hundred miles to Beverley. We were under Colonel Pegram and Major Tyler. I received my first baptism of fire in that trip to Rich Mt. the 11th day of July 1861. The Yankees got the best of us, owing to numbers. They killed, wounded, and captured most of our company. I was among those who came out under Major Tyler. This company was disbanded and I joined the Second Company from this county under G. B. Hayes, captain. This was Company A 57th Regiment, Armisteads Old Brigade, Picketts Division. We were called Picketts Foot Cavalry. I was in all the engagements that Picketts command was in from 1862 to April 1, 1865. Near Dinwiddie Courthouse, or Five Forks, as it was called then, I was captured about 4 oclock in the afternoon along with eleven hundred of Picketts Division. Landed at Point Lookout the 5th day of April 1865 and was a prisoner until June 15th 1865. So you see I was in the army near four years and am thankful to be alive, after participating in all the great battles from Newbern, N.C. to Gettysburg and in all that Picketts Division was engaged in from Rich Mt. to Dinwiddie Courthouse. I was absent from my company but once in all that time and that was on a pass for four day. While in the lines near Chester Station, I was slightly wounded twice on the finger near Howlet House and in the ankle at Gettysburg. You can see I was strictly in it. I defy the boy that saw more hard service that those of us that composed Picketts Foot Cavalry. I never was put on double duty or in the guardhouse or excused from duty but once and that but a short time for sickness while in the lines near the Howlet House. I still enjoy a reasonable portion of good health. I have the rheumatism a little in one limb, but with this exception I am yet hearty, thank God. Ancestor of Alison Hockman Freeland, Carolyn Evans Austin, Frances Wooldridge Evans, Joan Reynolds Butler, Valorie Austin Tillett.